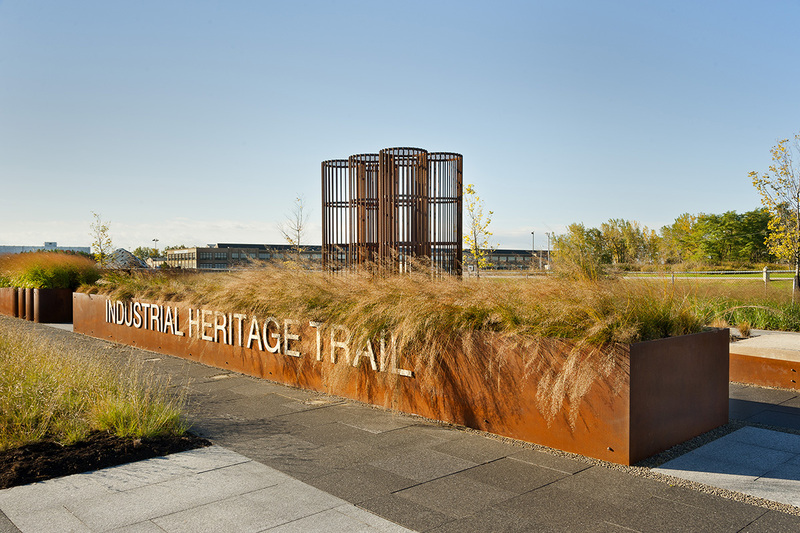 The Industrial Heritage Trail is a new recreational, cultural, and historic spine and links parks and interpretative sites along the Outer Harbor Parkway. 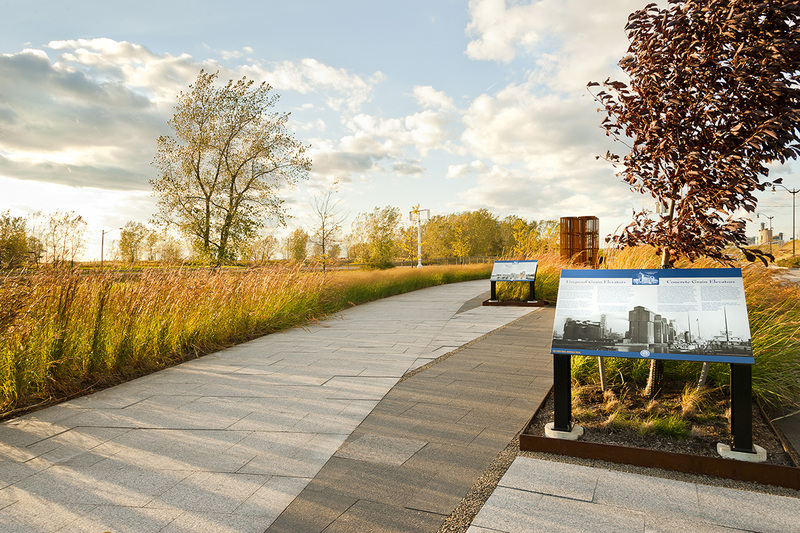 Developed for the NYSDOT Transportation Enhancement Program, the Industrial Heritage Trail created a 3.5 mile multi-use trail and individual nodes, and connects Times Beach Nature Preserve, Tifft Nature Preserve, and the Buffalo Outer Harbor State Park with a new public amenity. TWMLA worked from concept to construction to create a highly visible trail, integrated into its context. The waterfront’s industrial legacy and future ecologies of environmental recovery led to the creation of a unified palette of furnishings, lighting, and plantings for the corridor to establish a strong visual identity. Reclaimed materials, including cobbles from the adjacent parkway and cypress recovered from the lake bottom, were used throughout the project lend a sense of authenticity to the sites. A system of place naming and heroic scaled steel signage was designed to aid wayfinding for visitors discovering the waterfront. The centerpiece of the Industrial Heritage Trail is Grain Elevator Plaza. Taking inspiration from the iconic local grain silos developed here to transfer Midwest grain from Great Lakes barges to the inland railroad network, the plaza is an immersive interpretive node on the trail. 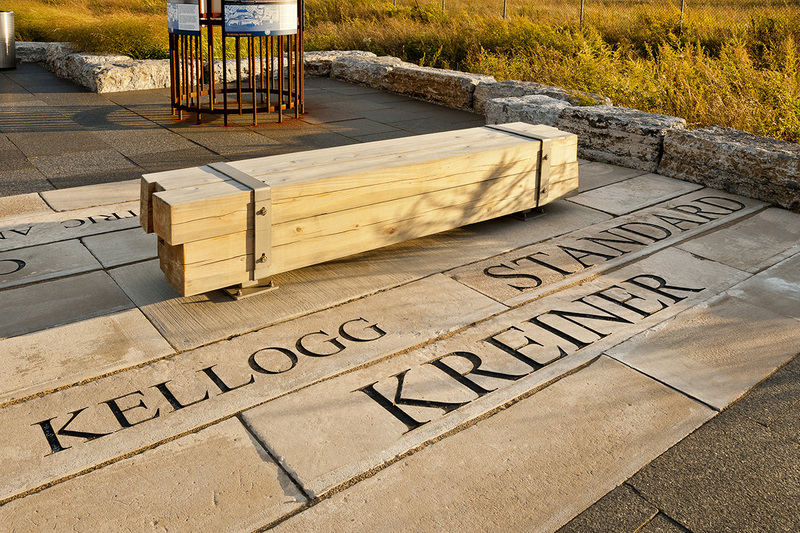 TWMLA’s design memorializes the area’s many grain silos with contemporary vertical structures and reclaimed sandstone slab paving engraved with the names of the historic grain elevators that once stood nearby. 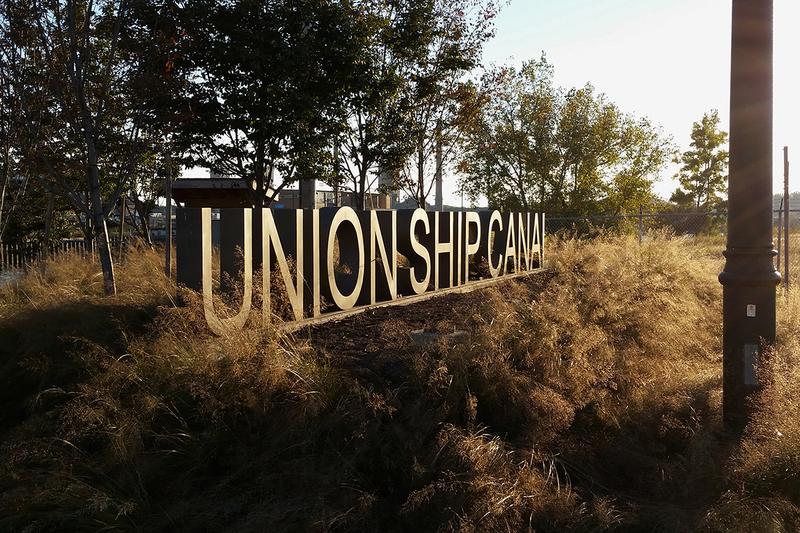 The southern terminus of the Industrial Heritage Trail is marked by the Union Ship Canal, originally built to support a concentration of heavy industry on the waterfront, including Lackawanna and Bethlehem Steel. 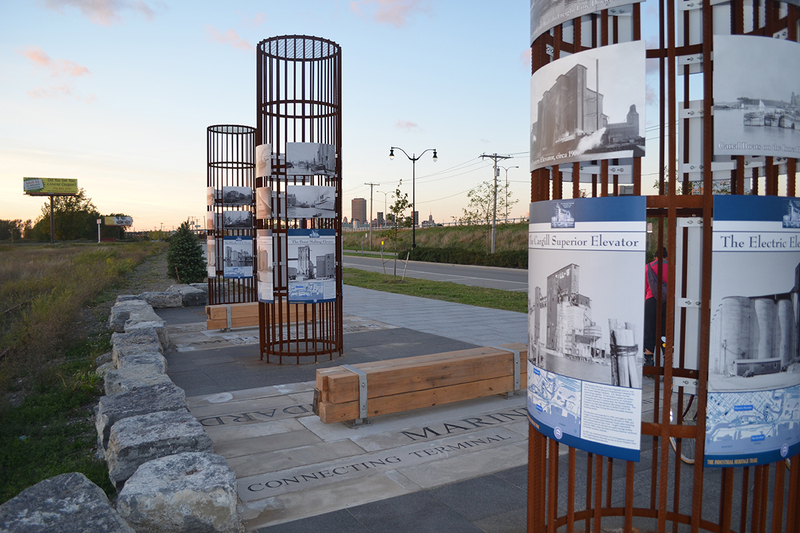 TWMLA’s design created a multi-purpose gathering space where views of the Outer Harbor and Lake Erie can be enjoyed. Details recall the steel and lumber industries once located at the canal, crucial to the development of Buffalo.